Paris-based eyewear designer Dzmitry Samal gives a whole new meaning to the idea of so-called hipster glasses, with his pixel-inspired "5DPI" frames. almost everything in use today. 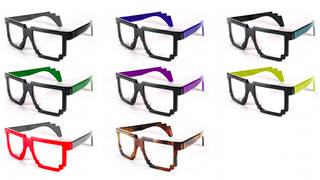 Even something as utilitarian as glasses can be transformed using technology. Patented model.